Jordan's King Abdullah on Thursday dissolved the country's pro-government rubber stamp parliament, a constitutional move to pave the way for elections expected early next year. The announcement was made on the eve of a rally organised by the main Islamist opposition, the Muslim Brotherhood, which is hoping to stage its largest demonstration on Friday since Arab Spring-inspired protests erupted last year. The Brotherhood and a coalition of tribal and other Islamist groups have been pressing the monarch to speed up what they consider to be the slow pace of political reform. The royal decree dissolving parliament, which was carried by state media, did not mention a date for the election that will decide the makeup of the 120-member lower house of parliament. 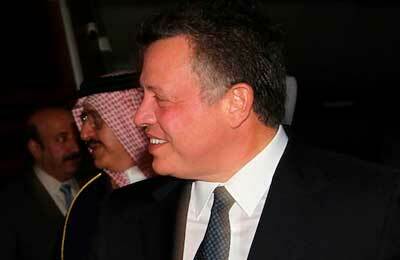 King Abdullah has repeatedly said he wants elections to be held later this year or at the latest early next year. A conservative government led by Prime Minister Fayez al-Tarawneh passed an electoral law last July that has angered the country's main Islamist opposition, prompting it to say it will boycott upcoming elections unless its demands for wider representation are met. The electoral law keeps intact a system that marginalises the representation of Jordanians of Palestinians origin, on whom Islamists rely on for their support, in favour of native Jordanians who keep a tight grip on power and are the backbone of the powerful security forces.